Trying to get started with Teechart for PHP, downloaded today, I immediately run into problems. None of the exmples works and the short PHP-code below crashes. Commenting out the rendering line lets the program survive, but no graph. That I have the proper file-permissions is demonstrated by the line that is commented works when uncommented. Your code works fine for me here with EasyPHP 5.3.8.1. I only had to change the path for the libTeeChart.php to fit my configuration. Have you tried with EasyPHP or another machine? 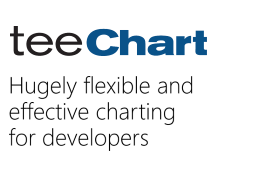 My problem seems to be with the ubuntu distribution of GD, several functions utilised by Teechart are missing. So now I think it has to do with my Apache settings. Any tip? My phpinfo is attached. Ps When your program doesn't work out of the box with at least one of the major distributions I guess it would be wise to be a bit more detailled in your installation instructions. If you still find problems with it, please don't hesitate to let us know.